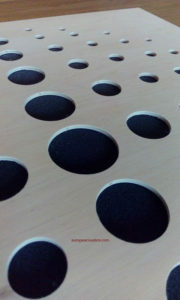 Professional design – proven in acoustic room. 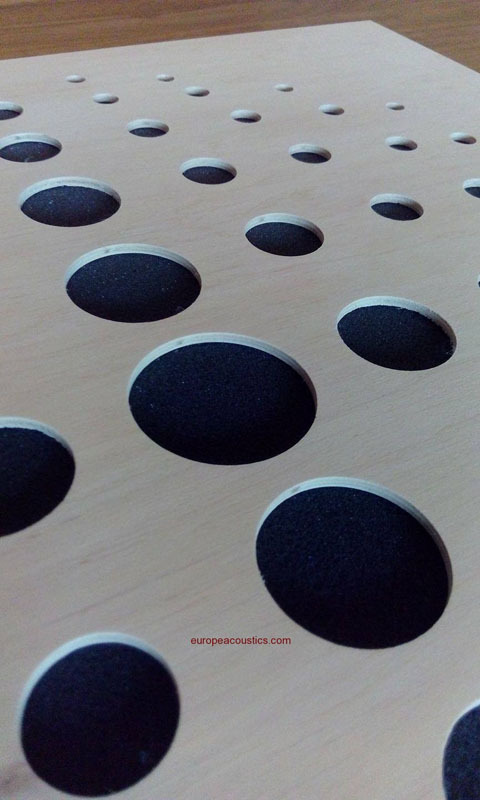 Acoustic panels combining the function of absorption and reflection of sound through the use of acoustic foam and the front of the dispersion plate. 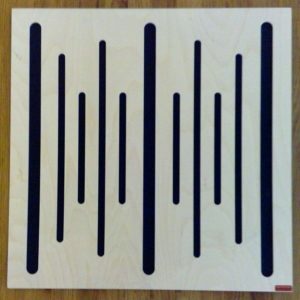 Well in any room where is a problem with reverb and other adverse acoustic in the medium-high frequencies. 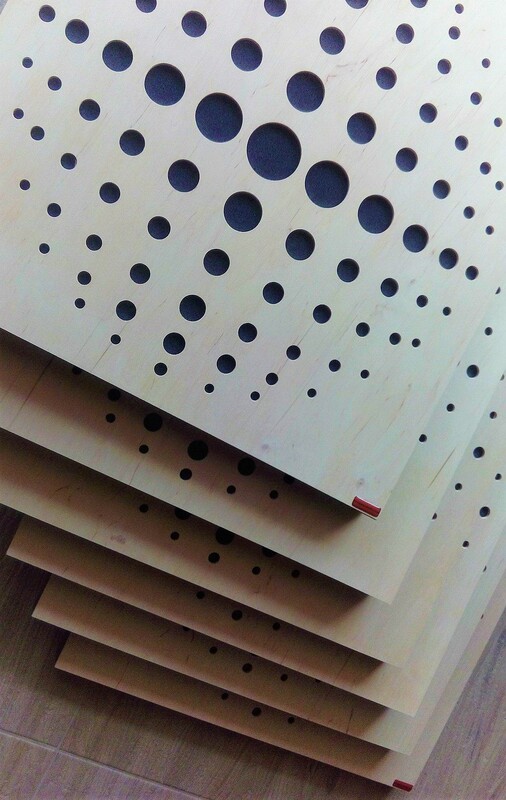 With its low weight and simple construction panels are easy to install. 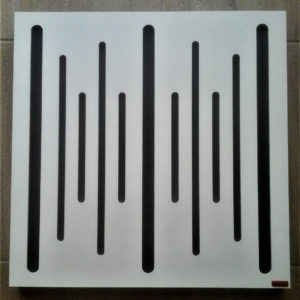 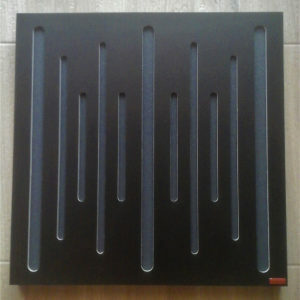 Hybrid absorption-diffuser panel for adaptation of listening rooms. 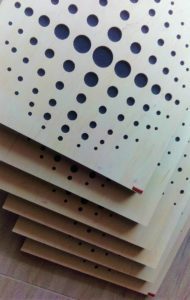 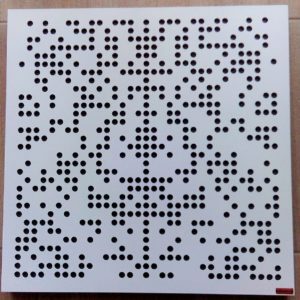 The perforated board made of natural birch provides pre-scattering of sound from 820 Hz to 3000 Hz. 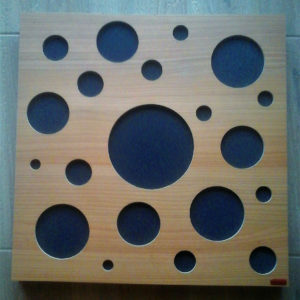 The acoustic sponge absorbs low frequencies up to 150 Hz. 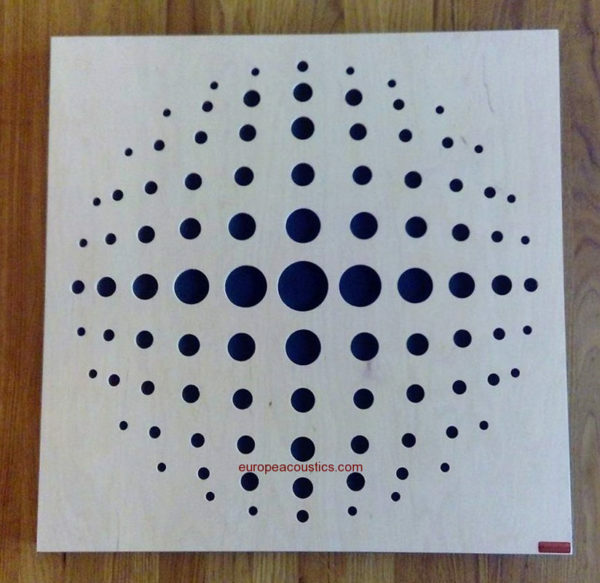 Acoustic panels combining the function of absorption and reflection of sound through the use of acoustic foam and the front of the dispersion plate. 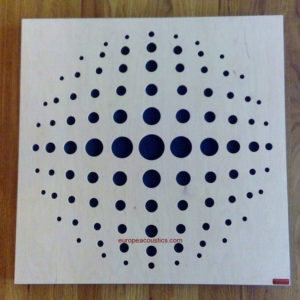 Well in any room where is a problem with reverb and other adverse acoustic in the medium-high frequencies. 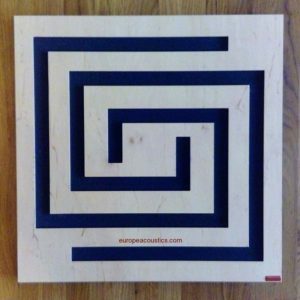 With its low weight and simple construction panels are easy to install. 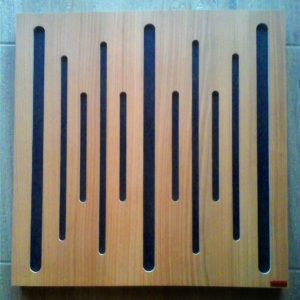 Hybrid absorption-diffuser panel for adaptation of listening rooms. 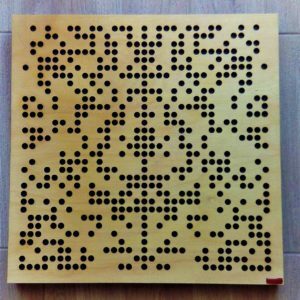 The perforated board made of natural birch provides pre-scattering of sound from 820 Hz to 3000 Hz. 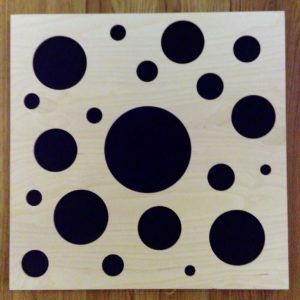 The acoustic sponge absorbs low frequencies up to 150 Hz. 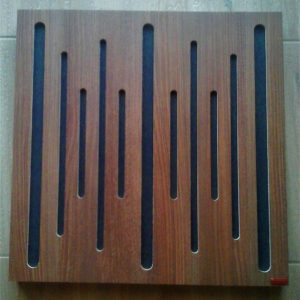 Acoustic panels combining the function of absorption and reflection of sound through the use of acoustic foam and the front of the dispersion WOOD1000 bass trap. 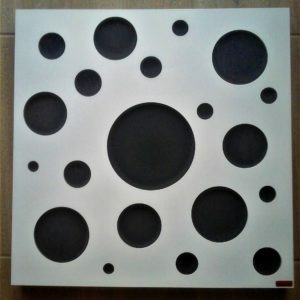 Well in any room where is problem with reverb and other acoustics adverse. 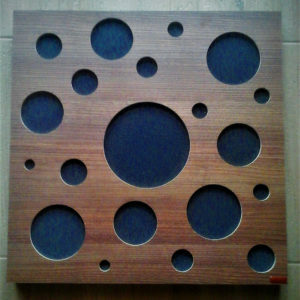 Perfect for mounting in acoustics rooms. 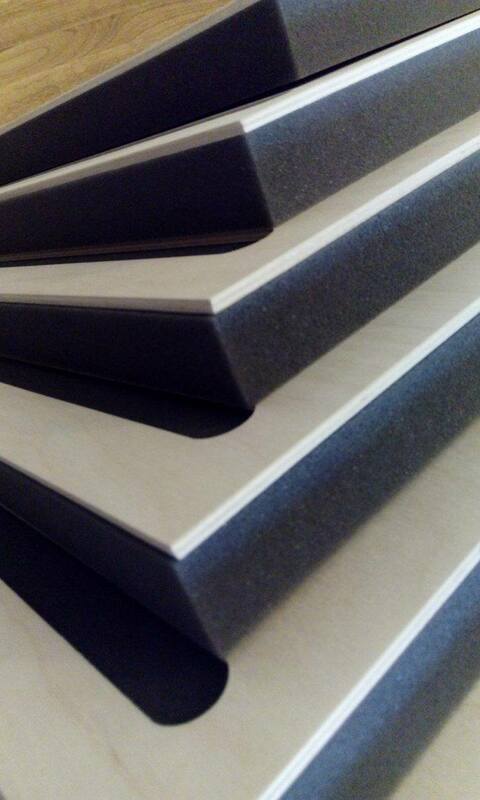 PROfesional acoustic foam provides very good effectiveness in low frequency band. Lightweight panels are easy to install.  Suitable for corner mounting.